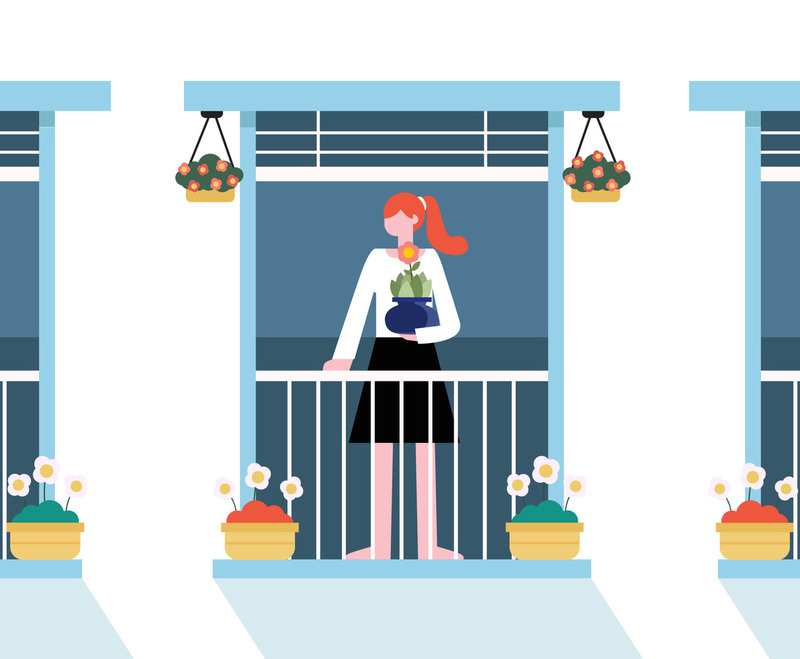 Vector illustration of balcony gardening activity by a girl character. The girl is holding a pot of flower or plant. You can use this vector illustration for any design related to gardening in web or print.